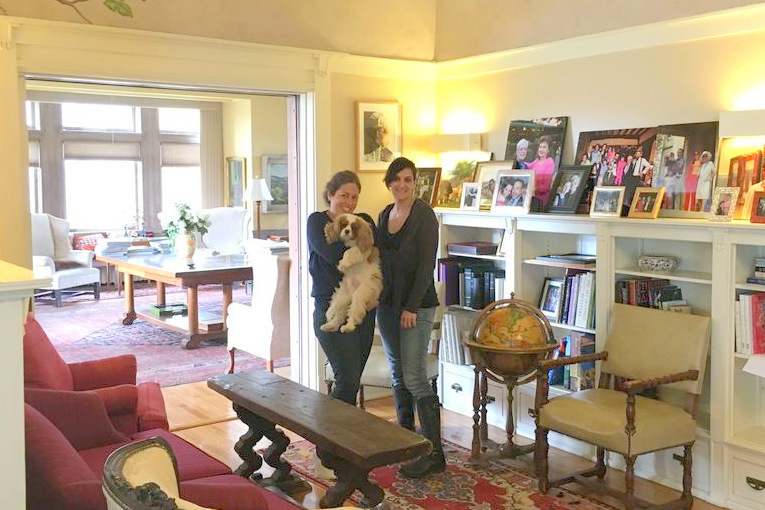 I’m delighted to share some highlights from my amazingly fun session with Jacquie and Daniel Butler, winners of my Intown Atlanta Parents of Multiples Club raffle. We worked two hours and just as we were wrapping their darling twins, Isaac and Tallulah, woke up from their nap. 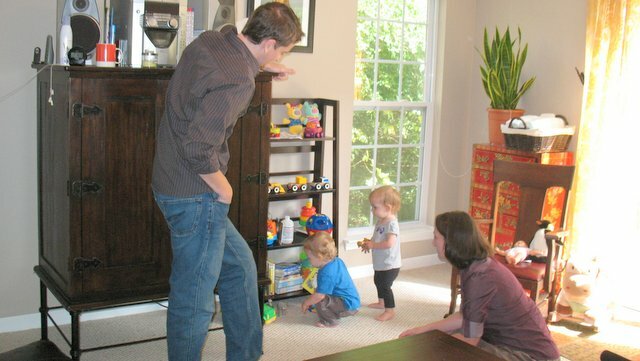 They cruised right through the newly ordered living room and went straight for their new toy shelf – without missing a beat. Smiles all around! Which is in good working order. "When the kids get into their chairs they start demanding food." "Safe and fun for the twins but still functional (at night) for us." Jacquie and Daniel work the shelf down to essential items. Decisions are made on what stays... and what goes. I teach Jacquie language to use: "Dollie lives here." Ike is asked to find his favorite book. "Books live here. Good job putting it home." Lulu quickly finds a toy to bring to mom and dad. "Say 'Like Things Live Togther' to the twins. It will help them to pick up." Stay tuned for our video... Coming Soon!